1. 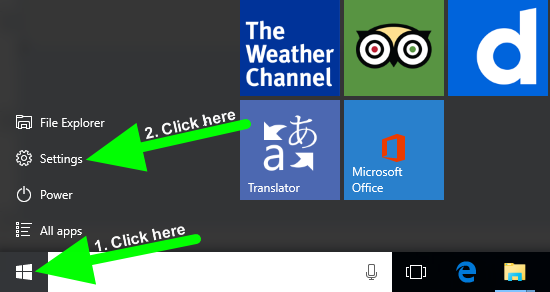 Click the "Start" Menu and choose "Settings"
2. 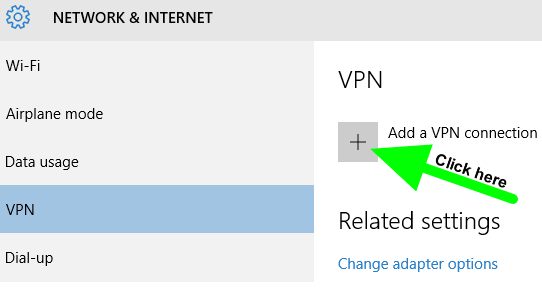 Search for VPN in the search box top right. 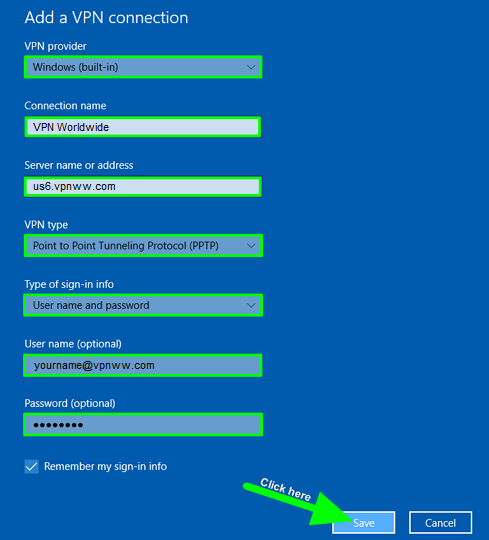 Click on "Change Virtual Private Networks (VPN)"
3. Click on "Add a VPN Connection"
7. Status should be "Connected"